Twenty-five year old Marina Shifrin quit her job recently. For Ms. Shifrin, a former of employee of Taiwanese animation company Next Media Generation, the traditional process of separation that includes a polite letter of resignation apparently failed to fit the bill. Instead, Ms. Shifrin sent a very powerful message to her employer — and to the world. Her video resignation included an interpretive dance to Kanye West’s “Gone” along with brief text-based commentary on the reasons behind her decision. That video went viral. To date, her video has netted more than 5 million views. For Shifin, social media has profoundly impacted her job prospects. Shifrin’s quitting technique has met with mixed reviews, the bulk of which are positive. Her plight struck a cord with many workers who also feel her pain. Some even comment about living vicariously through her bravery to walk away from what she saw as an exploitative job. For Shifrin, whose self-named website describes her occupation as a writer, comedian and waitress, the risky move may pay off in spades. She has clearly demonstrated an ability to produce a viral video and to harness creativity in a way that makes headlines. If you would like to hire her, you can find her resume here. Her former employer, on the other hand, may not fare quite as well. With more than 5 million views to date, Shifrin has quite effectively rung a bell that won’t be unrung any time soon. In her estimation, and likely in the estimation of many of those who have written comments in her support, her employer is less than stellar. 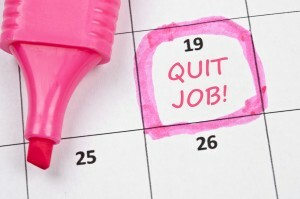 So what should you do if your employer, like Shifrin’s, leaves much to be desired? Well, you can either risk creating an interpretive dance video to express your distaste, or you can take a different route. You might be pleasantly surprised at just how responsive some employers can be to respectfully submitted ideas for creating measurable improvement. Armed not just with complaints, but with actual suggestions for positive change, you can be seen as a valuable contributor to the team. In other workplaces, the best solution may be to begin looking for another position. Contact us. We can help. Tags: jobs, myopenjobs.com. Bookmark the permalink. Previous post ← Dental Assistants- Do You Want to Love Your Job?